We have seen a few variations on this theme in the past, but the vast majority just aren’t available to buy anymore. 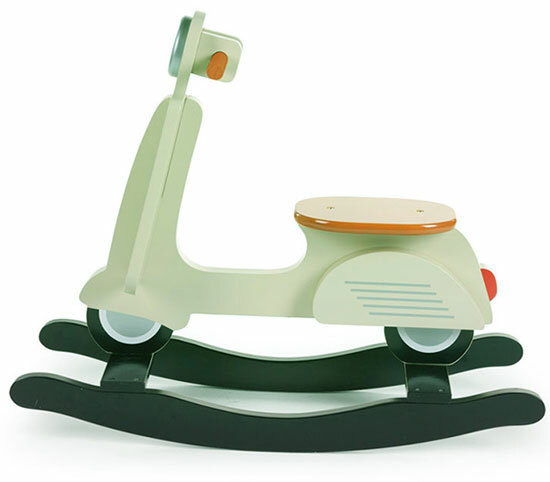 Thankfully the Childwood rocking Vespa scooter for kids is still on the market. Not just one variation, as you can see there are three colours to choose from, as well as an Italian flag design, if you want the mini scoot based around the Vespa’s country of origin. 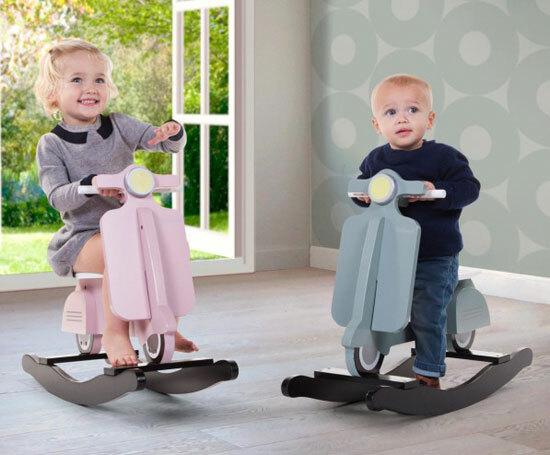 The design is such the same on all, which is an MDF scooter on a rocking base (with runners to minimise ‘tipping’), sized to fit small children from around two years of age. It also looks great around the nursery or living room too, regardless of it being in use! We have only found European stockists so far, with Little Thingz selling each one for €59.95. Saying that, the retailer does ship worldwide.